It's Nov. 4 and your newsfeed is packed with Election Day updates, but that doesn't stop news from happening. Tawain seeks to stay independent, a school shooting was stopped before it happened, and your bills are going to be changing. All that and more, in case you missed it. 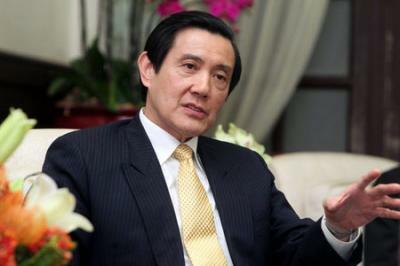 Ma Ying-jeou, the current president of Taiwan, understands the importance of positive economic relations with China. However, he is not willing to lose his country's sovreignty for it. Chinese president Xi Jinping, on the other hand, has made public declarations of his "firm and unwavering stance" on reunification attempts. Though Tawain and China were officially seperated after a civil war in 1949, China still considers Tawain part of its territory. Students at the George Washington Carver Center for Arts and Technology and their families can breath a sigh of relief after police stopped a school schooting before it happened. The suspect, identified as 16-year-old Sash Alexander Nemphos, was arrested in relation to three vehicle break-ins Saturday. It was then revealed that Nemphos had in his possession a firearm and multiple devices that were believed to be explosives. Nemphos told police that he had the gun with him at school on Friday, but decided he wasn't going to use it until Monday. He is being charged as an adult is is currently being held without bail. Following Brittany Maynard's death Saturday, Pennsylvania and New Jersey now have pending legislation that could allow their citizens to also die with dignity. Similar legislation already exists in five states and allows terminally-ill patients to take medication that would end their life. While these types of legislation have their opponents, Pa. Senator Daylin Leach believes that "It's the kind of thing that transcends Republican, Democrat, conservative...". The legislation will be reintroduced in Pennsylvania this coming January. On the eve of the elections, Governor Corbett and Lt. Covernor Cawley made a stop in Erie. The stop was part of their "Lower Taxes Tour". Erie County played a major role in Corbett's reelection, according to Erie Republican Party Chairman Verel Salmon. However, the latest polls indicate that Corbett's opposition, Democratic Candidate Tom Wolf, has a slight lead. No matter your affliliation, remember to go out and vote today. In hopes of addressing more than $2 million in delinquent fees, the City of Erie and Erie Water Works have come up with changes to the way billing works. From now on, sewer and garbage bills will be combined, while water will remain a seperate bill. Furthermore, payments made will now first apply to delinquent fees instead of the current bill. While most customers are paying their bills on time, Water Works hopes this new plan will help make back some of the money from those who are behind.